The world of the fashion conscious has moved far above and beyond the limits of sporting varsity jackets only in varsities. 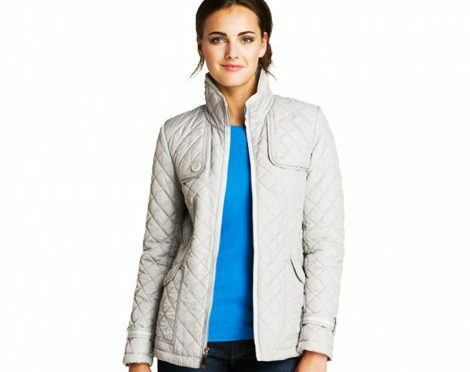 These jackets have now become a wardrobe staple that is adorned practically at every casual and sporty occasion. However, the world of the fashion conscious has also moved way over the common and the ordinary, making it imperative for the providers to come up with improved and never-before varsity jacket designs and that too in a variety of different materials. The idea is to ensure that what one possesses, the other should not. Custom made varsity jackets have thus received massive importance from a wide group of buyers that are ever increasing with time. While approaching these designer varsity jacket options though, it is imperative to keep a few factors in mind in order to ensure that quality is delivered just as expected. 1)Choosing the right Material is the first point to consider. Whether to choose leather, mixed cotton, polyester or a classy combination is best decided by how and where you wish to carry it around. Choosing according to your maintenance ability is considered wise. Say for example, leather can be tough to maintain while a combination can get even tougher. 2)Selecting the most suitable Colors plays a role in enhancing the scope of wear of these jackets. Custom made varsity jackets for men and women can sport the same colors if the wearer so chooses. Left to the providers, especially the wholesale manufacturers, a more general approach may be taken. 3)Research before designing can help land with some of the best suggestions you can place before the wholesale varsity jacket manufacturers. You can find ample options in the right internet platforms; gather your ideas on a piece of paper and make the leap. You may be surprised to know that choosing the right style can do wonders to enhance appearance and camouflage flaws if any. 4)Approaching right manufacturers is mandatory for good results as far as custom made jacket creations are concerned. A little home work on the existing providers and reading through their reviews can be very enlightening. You may also stumble upon the fact that some manufacturers are better at custom made varsity jackets for women than men and vice versa. Thus, choosing the right providers has got everything to do with getting the right results. 5) Seeking guidance on designs that is sure to last through the test of time is a wise thing to do. Creating vintage is not everybody’s cup of tea, but wishing for one is open to all. Experienced professionals involved in the designing process of the concerned manufacturers can help in creating a piece for you that will not just enhance your looks to perfection; it will also stand out as a winning example of vintage.